Integrative medicine puts the patient at the center and addresses the full range of physical, emotional, mental, social, spiritual, and environmental influences that affect a person’s health. Employing a personalized strategy that considers the patients unique conditions, needs and circumstances, it uses the most appropriate interventions from an array of scientific disciplines to heal illness and disease and help people regain and maintain optimum health. In addition to addressing the individual’s immediate health problem(s) as well as the deeper causes of the disease or illness, integrative medicine strategies also foster the development of healthy behaviors and skills for effective self-care that patients can use throughout their lives. A growing body of evidence suggests that integrative medicine can successfully address –and to some extent alleviate–many troubling aspects of our current healthcare crisis by helping to provide effective, safe and cost effective treatments as well as preventing future disease and fostering overall wellness. Moreover, integrative medicine holds special promise for reducing the burden of chronic illness on individuals and their families, and on the healthcare system. Practitioners use all appropriate healing sciences to facilitate the body’s innate healing response. Care is individualized to best address the person’s unique conditions, needs, and circumstances. Providers at Hale Lea Medicine take integrative care seriously. 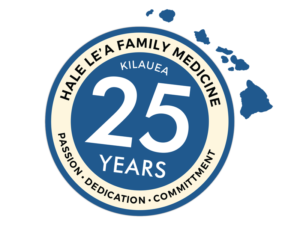 Regularly attending national seminars in subjects as diverse as integrative oncology, gastroenterology, neuro-immunology, endocrinology, biotransformation and detoxification, women’s health, and a host of other disciplines, as well as continuing their education in modern allopathic healthcare, Hale Lea’s medical providers strive to provide our community with the highest quality of healthcare possible.